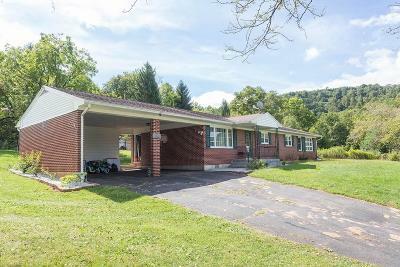 Come see this charming 4 bedroom 2 bath Floyd County home that is located near Buffalo Mountian and the Blue Ridge Parkway. This home has seen several upgrades over the past few years, both bathrooms have been remolded, new lighting, recently finished basement and much more. This is a must see! Directions: From Town Of Floyd Take 221 South To Left On Burks Fork Rd. To Property On Right At Sign.